The house that Donald Trump couldn’t buy, Atlantic City, circa 1991. The house belonged to Vera Coking. The house was the focus of a prominent eminent domain case involving Donald Trump. Trump wanted her land to build his Casino, but she denied him access to her property. Demolition crews had set fire to her roof, broken windows and smashed up much of the third floor. Trump, Coking and the casino authority pounded away at one another in court. Then, one day in the summer of 1998, the Superior Court of New Jersey put an end to the conflict. The court ruled that the casino authority and Trump were wrong. The government couldn’t take Coking’s house and let Trump have it. In 1991 AIDS was still a very mysterious phenomenon to the public. To the public, it was not clear that AIDS was not transmissible through physical contact. It wasn’t that she chose to shake a gay man’s hand, it’s that she chose to shake an AIDS patient’s hand without protection. That statement humanized people afflicted with the disease, and thus, the gay community that had suffered the brunt of the disease and public fears. She rejected the paranoia and reached out to them as people. She legitimized the struggle with AIDS by acknowledging the reality of the situation and doing away with the stigma, and thus validated the reality that many gay communities were facing. Saundra Brown, the first black woman on the Oakland police force, gets instructions on how to shoot a shotgun, 1970. She is currently a federal judge. Dwayne “The Rock” Johnson and his father Rocky Johnson, 1981. In his very first acting role, Dwayne Johnson appeared on That 70’s Show as his dad Rocky. 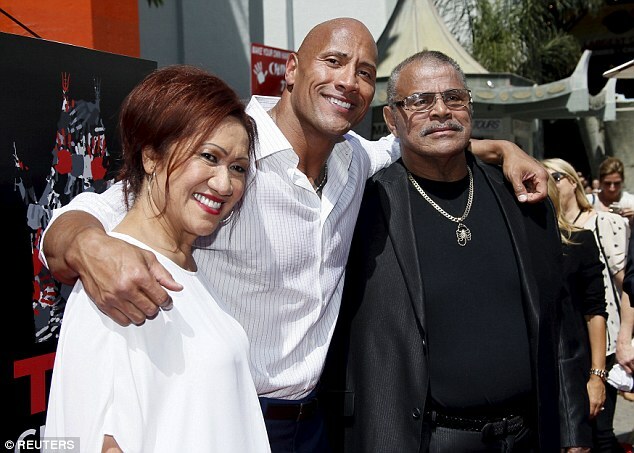 Rocky Johnson himself was a popular wrestler back in the day. The family was Loyalists who came to Canada during the American Revolution and consequently received their freedom from slavery. Here is their recent pic.